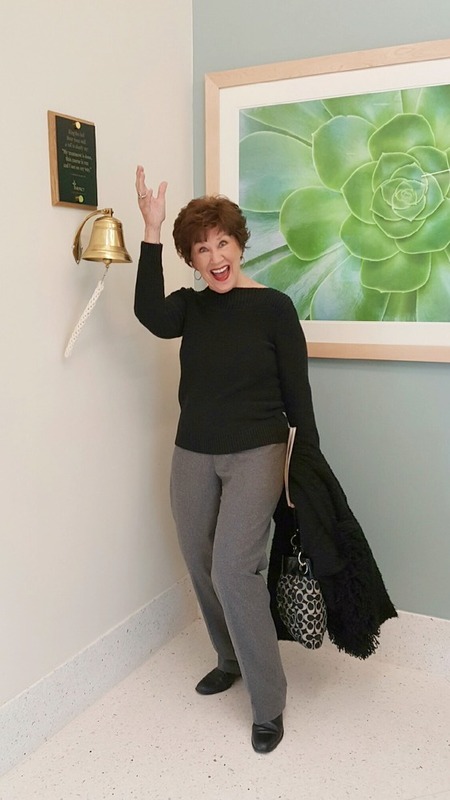 Just after the first of the year, my Mom was diagnosed with breast cancer. They caught it very early and were able to get it all with a successful lumpectomy. 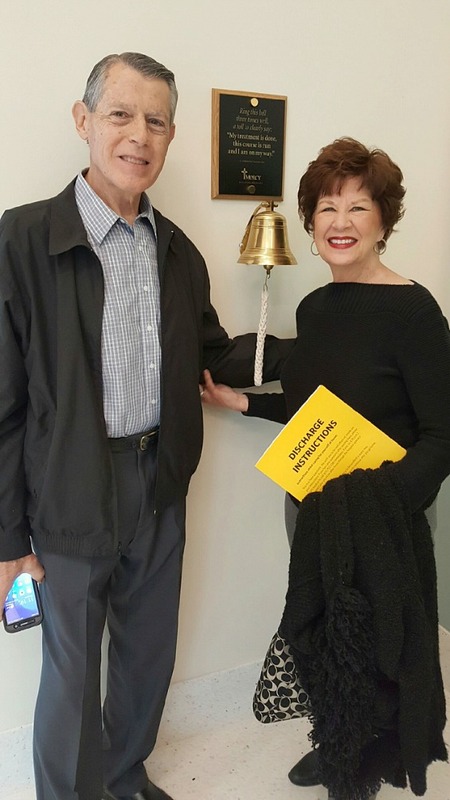 Last week she completed her last radiation treatment and is now cancer free! Isn't she cute ringing the bell? We are so thankful for how the Lord protected her and preserved her life through this illness. I didn't post anything about it publicly before now, but wanted to take this opportunity to remind all of you ladies of the importance of getting regular check-ups and mammograms. Early detection can be so crucial so don't let any excuses stop you from staying healthy for your family! Needless to say, we have extra reasons to be especially thankful for my Mom and her good health this year. My daughter's birthday is this week and we're usually focused on it during the first part of May, so Mother's Day always sneaks up on me. This year I'm on top of things, though! Here's a few things that your Mom might enjoy if you're still looking for a gift- I know I would love any of these (and a few of them just might be in my cart, too!). Even though we're cutting it close, if you order quickly most of these will be scheduled to arrive by Mother's Day. 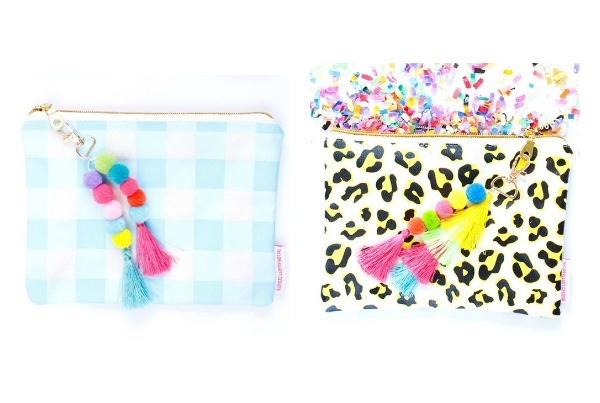 These are technically pencil pouches, but I can think of 100 things to tuck inside! I love using little bags like this to keep things organized inside my purse. It could also pinch hit as a casual little clutch. And the best part? That darling tassel fob/keychain comes with it! Have you seen the new Summer Collection from Barrington Bags? SO CUTE! 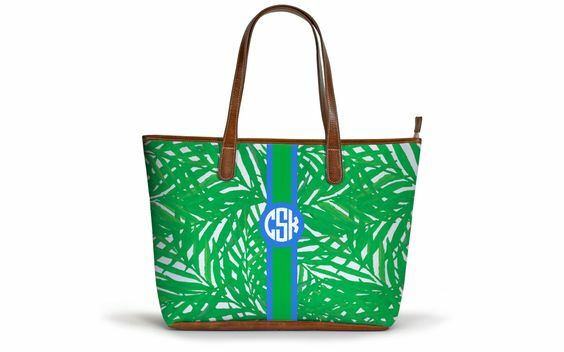 I have a striped St. Anne tote and I honestly carry it almost every single day. I've had mine for almost a year and the quality is fantastic, I've really given mine a workout and it still looks just as good as the day I received it. Even if your gift budget isn't large enough for a bag, there are several smaller items that are just as darling. You'd have to order quickly for the personalization and might have to wrap an "IOU" for Mom's gift, but I promise it will be worth waiting for! This Tyler Candle in Signature Tyler Scent is one of my all time favorites. 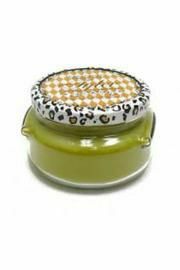 It has a grapefruit/citrus scent that is refreshing and slightly sweet, and is strong enough to fill the entire room. For reference, I love Volcano candles too so if you like those I think you would love the Tyler candle too. It has a double wick and long burning time. If I hadn't already hinted at my personal Mother's Day wish list to my family (and by hint I mean handed them a list with exactly what I wanted spelled out...ha! 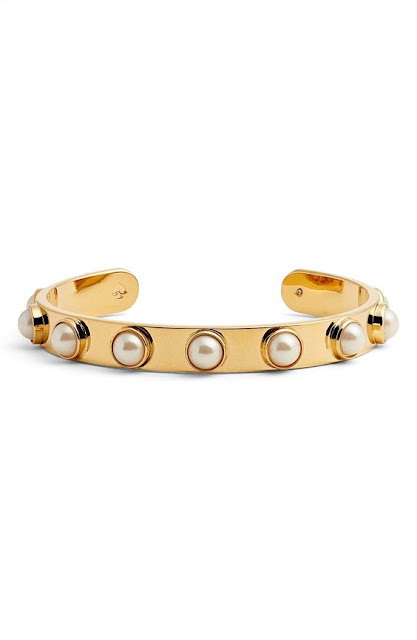 ), this Kate Spade Embellished Cuff would have definitely been on it! This is the perfect bracelet to wear alone or stacked with your other favorites. 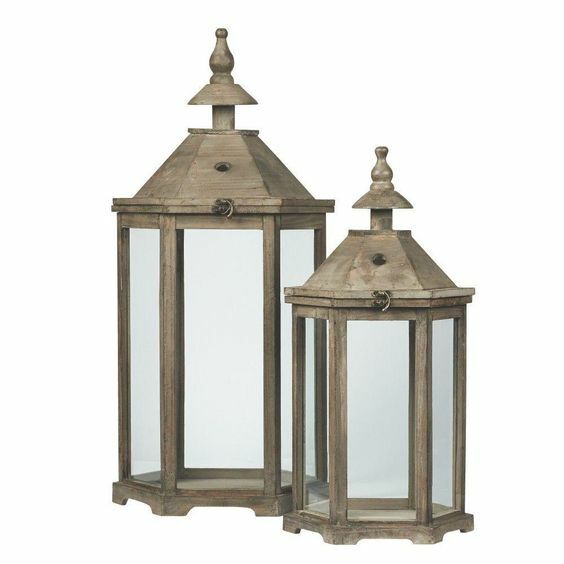 It's gold plated for durability and is available in 7 different stone colors. Oh, did I mention it's also on sale for an amazing deal? 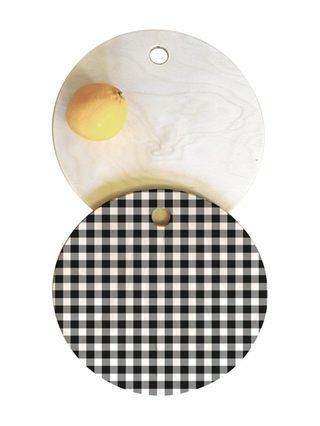 This gingham cutting board? I'm dying. The design side is decorative only, flip it over on the back for the wood cutting surface. Lots of different patterns available. 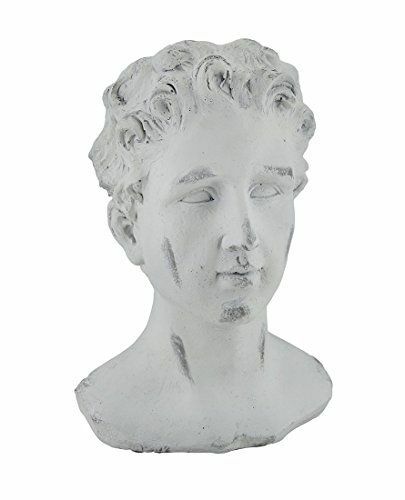 Here's another piece I've posted about recently, but this head planter is worth another mention. It's a great indoor or outdoor piece, so if your Mom is a gardener this might be the perfect quirky little fun gift for her! 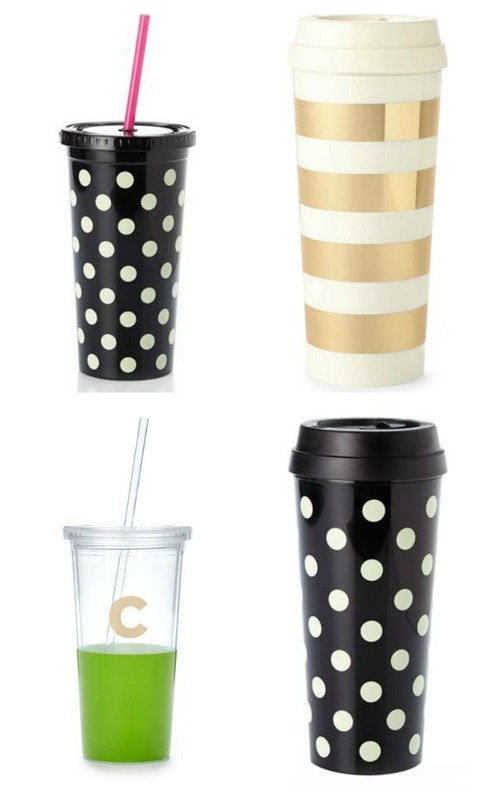 One more Kate Spade cutie, because they're on sale too! 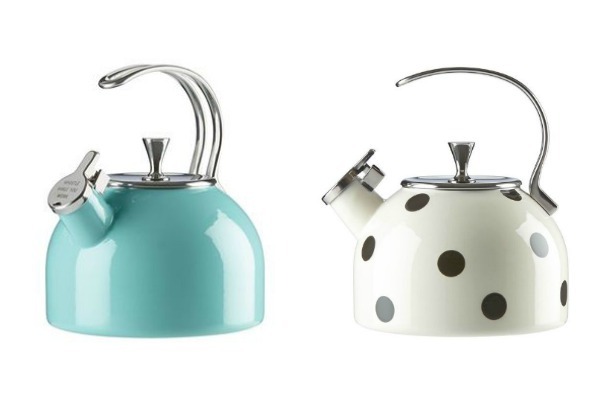 This Kate Spade Tea Kettle comes in turquoise or polka dots. Hopefully Mom would clearly love one or the other, because how in the world would you ever choose between them? 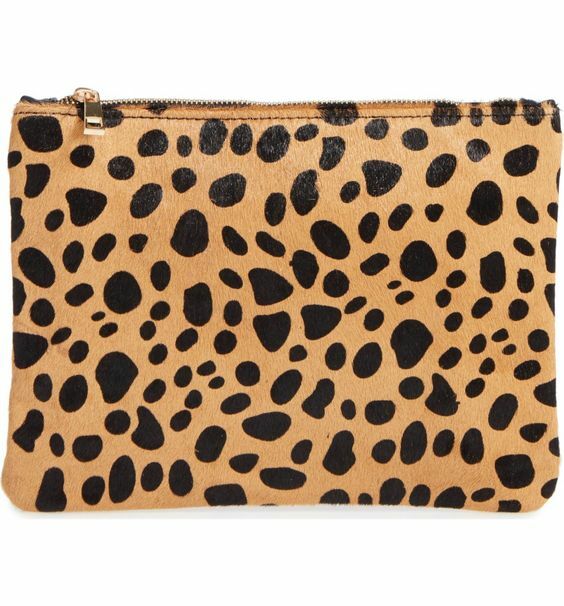 Finally, an affordable Leopard Calf Hair Clutch. She'll love it. i am so glad your mom is doing well! that is wonderful news! Your mom is beautiful--and so are you :) Praising God for His goodness! I am so thankful your Mom is ok! She is beautiful just like you. Happy Mother's Day to the two of you. You look resemble your Mom. OK, y'all are clones! I love her energy... she is quite a cutie pie! Your Mom looks fabulous!!! You have good genes and really look like her! LOVE her hair too. Thanks for the ideas for gifts. I use small bags like this in my purse too! Jennifer, I'm happy your beautiful mother is doing well and is cancer free! Thanks for sharing gift ideas. I especially like the Kate Spade cuff. I like Tyler candles, too! They are long lasting and smell so good. Your mom is beautiful and appears to have a wonderful nature! PTL for her outstanding health results...just awesome! You've shared some great gift ideas & thanks for doing so. Wonderful news that your Mother is cancer free. Love all your gift ideas,especially the Kate Spade Embellished Cuff and the monogrammed Barrington Bag. Happy Mother's Day to both you and your pretty Mom. You definitely inherited her beauty!